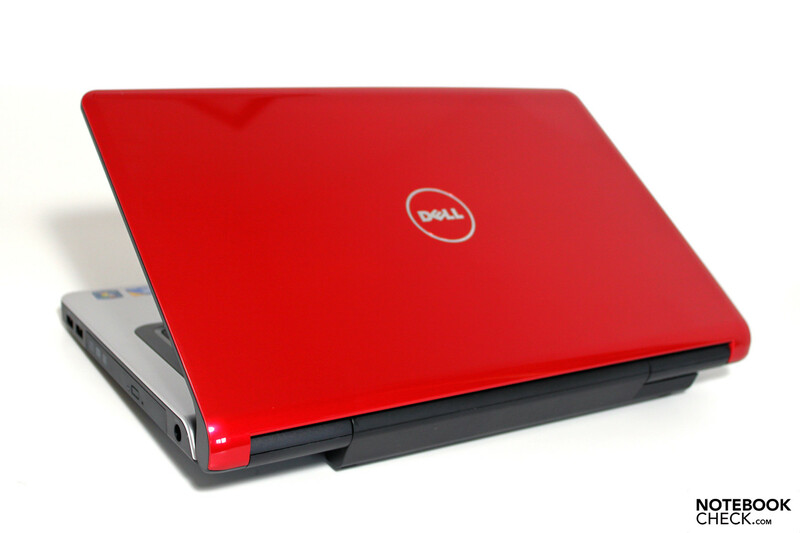 Dell models bearing the -z suffix are differentiated from the all-around Inspiron family by being particularly mobile. A thin housing, energy-sipping CPU's and large-capacity batteries should keep even the most demanding users away from the wall outlet. 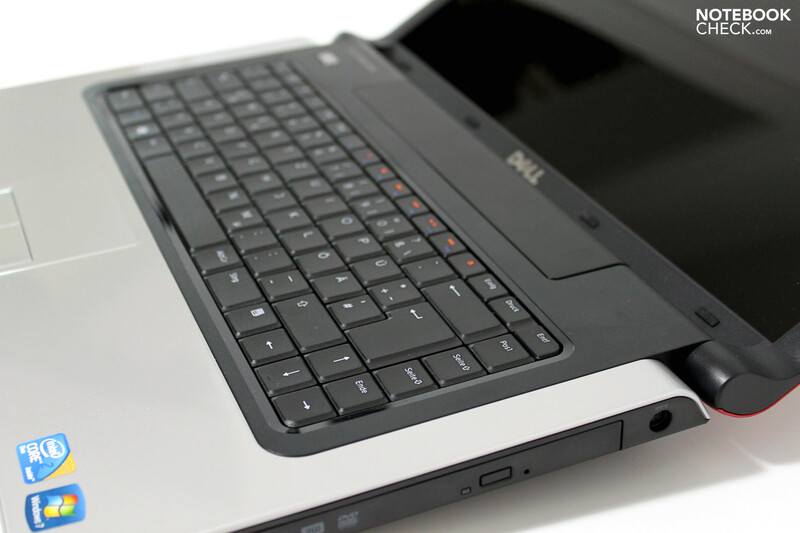 The Inspiron-series likely stands atop Dell's sales charts, offering inexpensive devices in every format for the end customer. 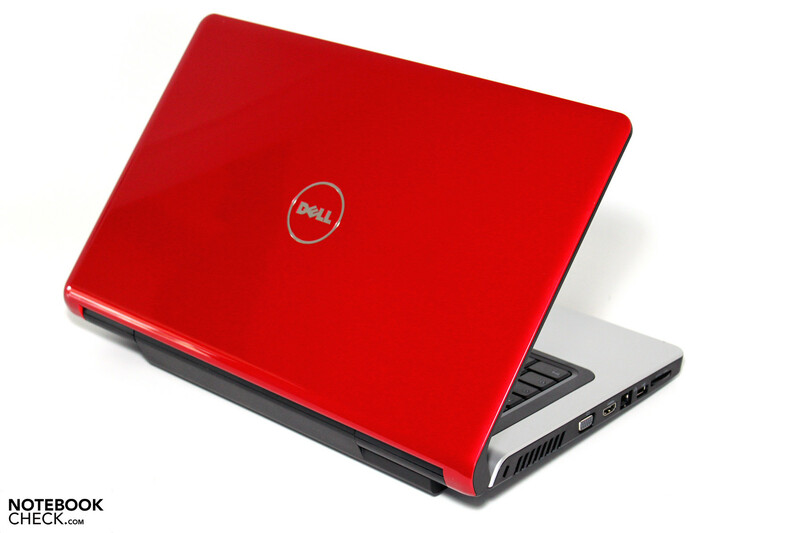 The current mainstream variants are called the Inspiron 1545 (Core 2 Duo platform), 1546 (AMD components), Inspiron 15 with Intel Core i processors from the Intel Core i CPU series. 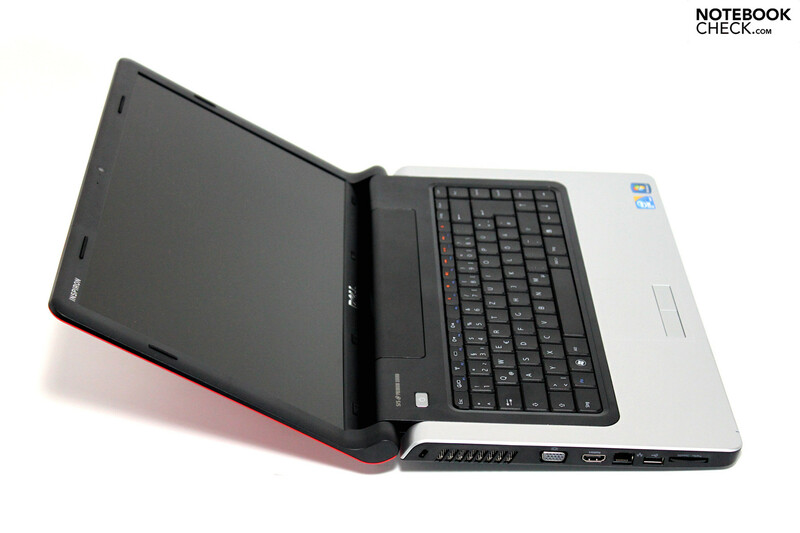 The chassis is almost identical to the Inspiron 1545, about which more regarding the case, workmanship and input devices can be read here. 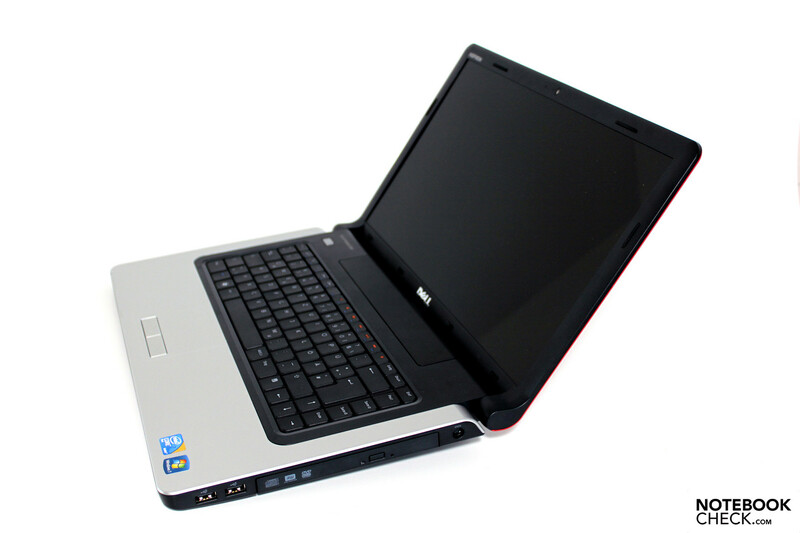 The chassis of the Inspiron 15z that we have on hand is a bit different than previous models in that it is has a lower-profile, though it optically meets the styling cues of the studio notebooks, if one that has gone on a bit of a diet. 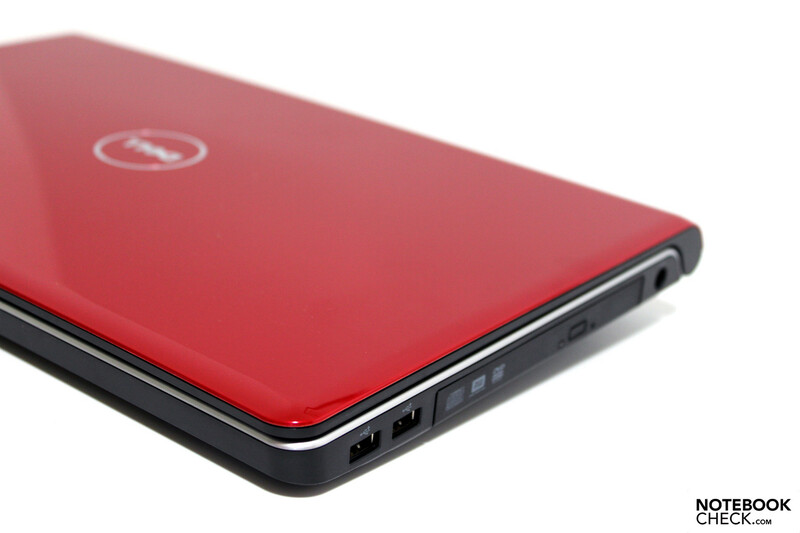 As usual it is possible to order the Inspiron 15z in a range of different variants. One can choose between an SU4100 or SU7300 CPU or an integrated Intel 4500M HD versus an ATI HD4330 entry-level graphics chipset. Individual customizations of the RAM, hard drive and accessories are also possible. Prices for the 15z start around 499 Euro. 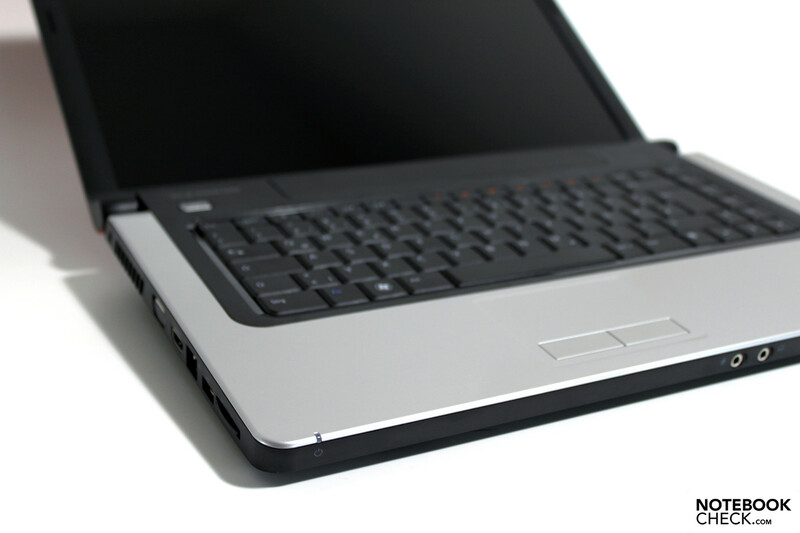 So similar are the form and color palette of the Inspiron 15z and its sister models from the Studio series that one could very well believe that the "Inspiron" logo on the upper edge of the display was put there in error. This would not be too far off, since they share many common elements, from the matte black plastic housing to the silver-toned high-gloss area around the palm rest to the black display bezel (done in a matte finish!) and finally the colorful lid. Two variants are currently on offer here, "Obsidian Black" or "Cherry Red", the color of our test model. The result of this color combination is a very simple appearance when closed; the red color of the outer lid is sure to delight those sitting across from you. The workmanship is executed without any glaring flaws and as such we were unable to find any excessive gaps in the assembly, irregularities in the paint or other such issues throughout. The stability of the chassis base unit is very good overall, unfortunately the underside of the area around the optical drive is prone to deformation when pressure is applied with a finger. 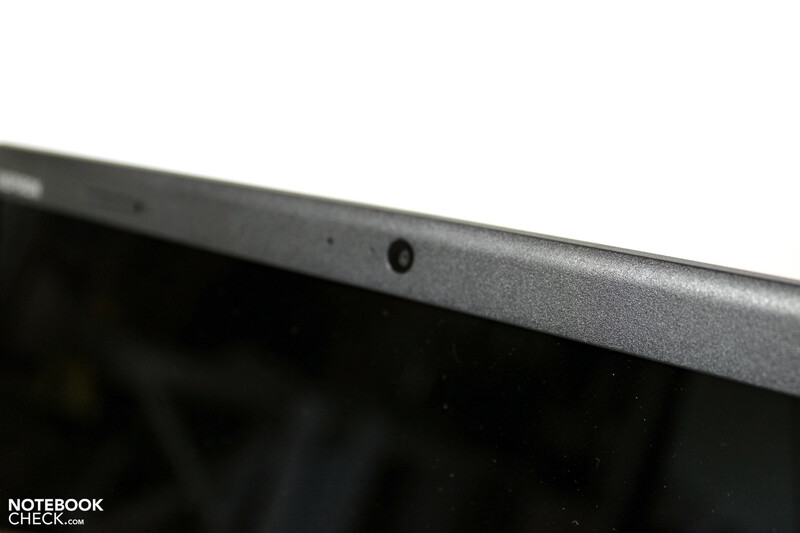 This also goes for the display bezel, which is able to be deformed significantly around the Dell logo with a little pressure. The display hinges are optically very stable, we were however to induce some wobbliness when shaking the device. This sort of movement could be a bit disruptive for people using the device on the go. Our test model was outfitted with a 9-cell battery, which places the device in a pitched position when attached to the bottom due to the additional battery cells. 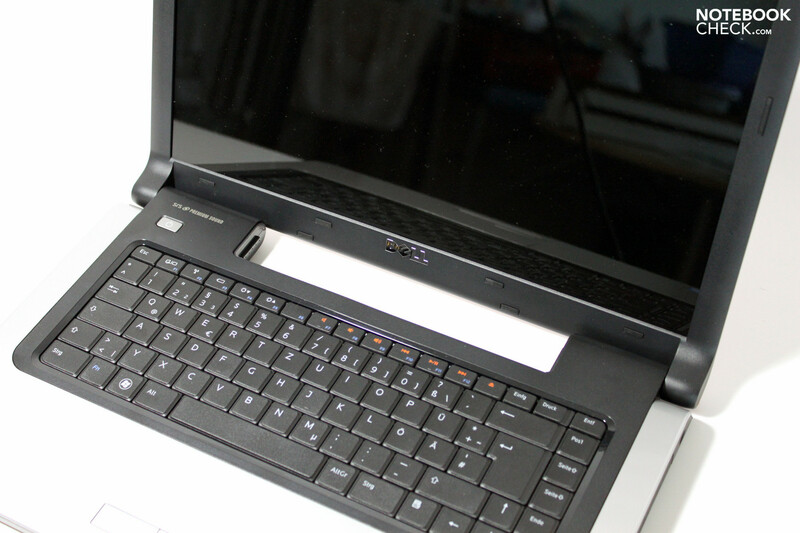 Thanks to rubber feet on the underside, the notebook remains stable either with or without the battery when in operation on a desk surface. On the leading edge of the device one can find the two audio ports (headphones/microphone), though the majority of the available connections are located on the front half of the left side. 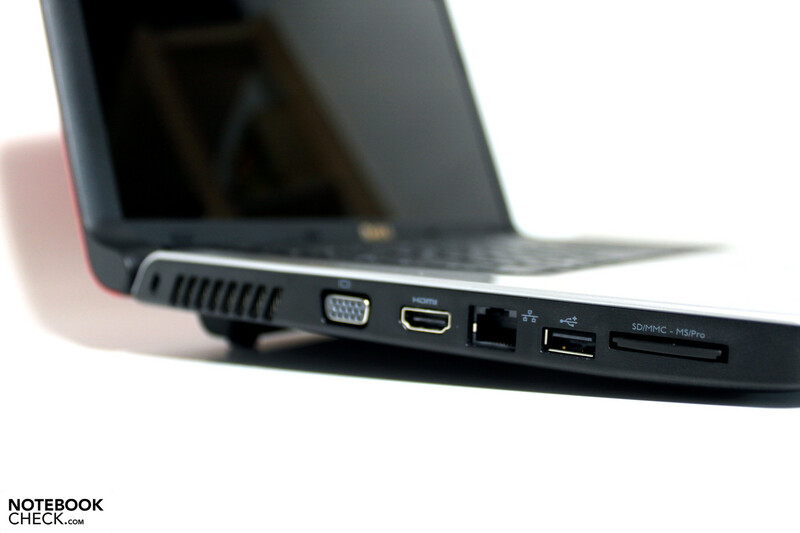 Located here is the VGA port followed by the HDMI-interface, RJ-45 LAN port, USB 2.0 and the SD/MMC card reader. Right handed folks won't have any problem with this setup, though left-handed individuals will be constrained by the use of a LAN cable and possibly an external monitor. 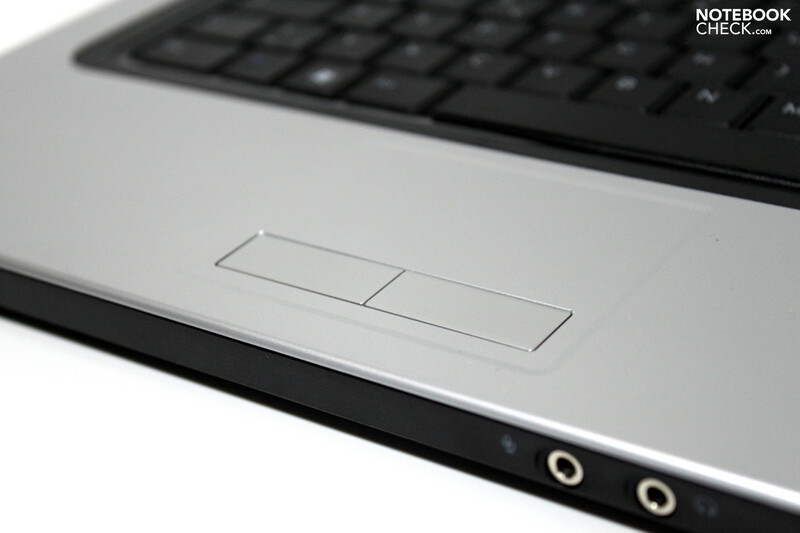 Also of questionable design is that the two additional ports are located at the very front edge of the right hand side before the DVD drive. 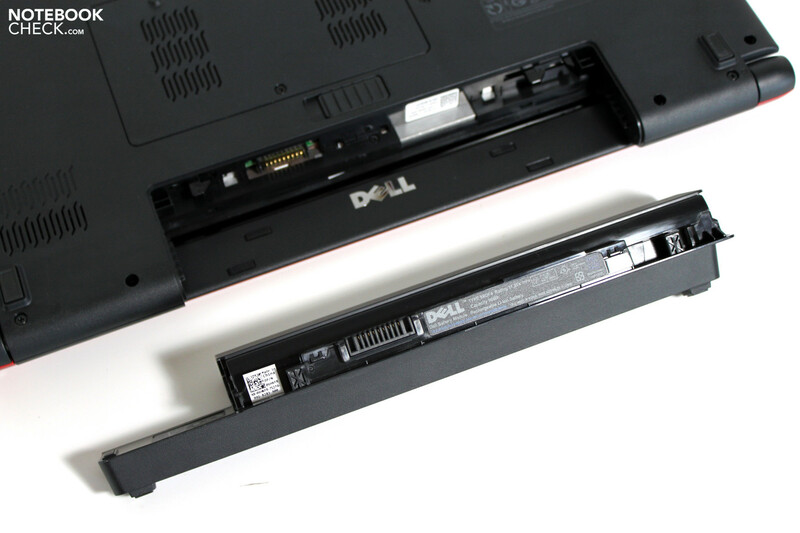 The socket for AC power is the only oft-used port that Dell placed at the rear edge of the device. Communications-wise the Inspiron 15z has an integrated WLAN-module which comes directly from Dell as long as one does not pony up for the more expensive Intel WiFi 5100 module. Bluetooth is also available for an extra charge. Ethernet via wire functions over a gigabit Ethernet module from Realtek. 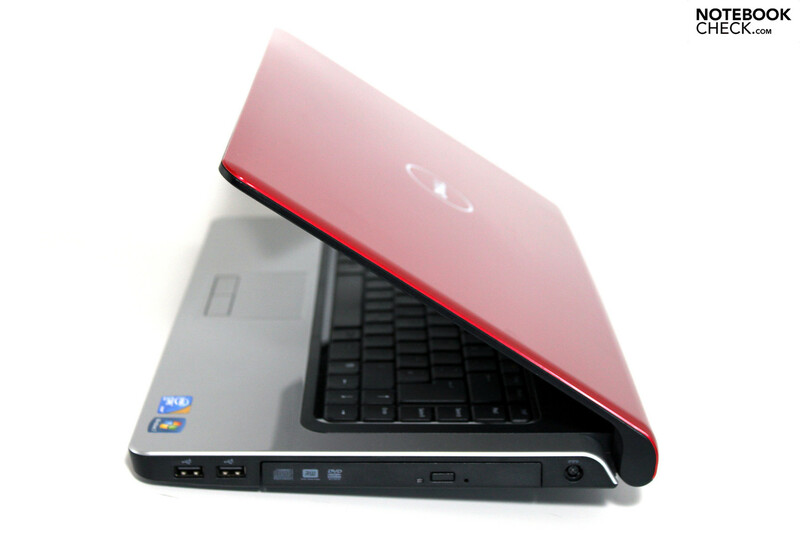 In accordance with comments from several reviewers the Inspiron 15z would have been well-served with wireless broadband internet, even if it were for a premium. Currently these are available only in USB-stick form which would have to be plugged into a port on the front right or left side of the device, the positioning of which is poor. The packaged goods are scarce as usual, so long as one doesn't want to reach further into their bank account. As such, there are a variety of external input devices, storage devices and a range of bags available for those that are looking for such things. Our test sample came with a neoprene cover from Belkin, available in the shop from 17.99 Euro. 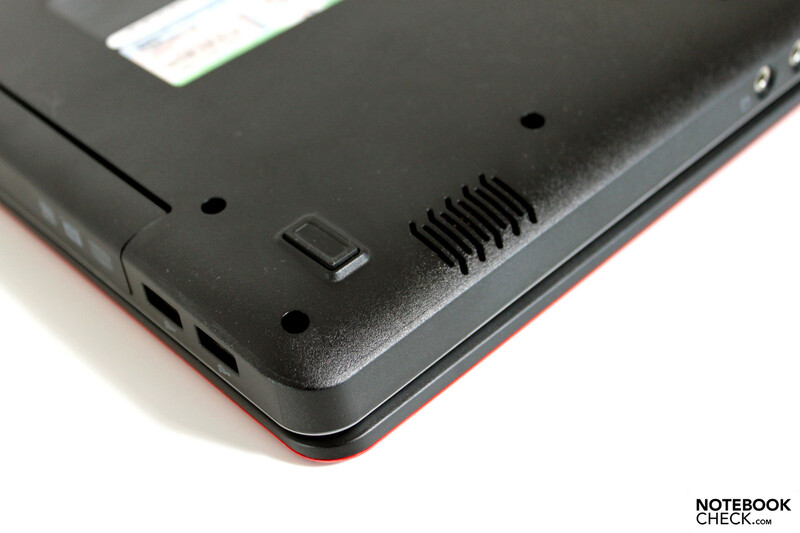 Thanks to the stretchable material, the entire device is covered despite the protrusions from the larger 9-cell battery: even the AC adapter fits in the case, though it should be placed under the notebook in order to avoid scratches on the outer lid. Also a nice surprise for a cheap consumer notebook are the numerous support options available for customers. One can specify up to a 4 year on-site service contract as well as accident coverage. For a price of 147 Euro the normal 4-year guarantee is worth considering, as it ensures that the notebook will run virtually problem-free during ownership and also secures the residual value of the device. 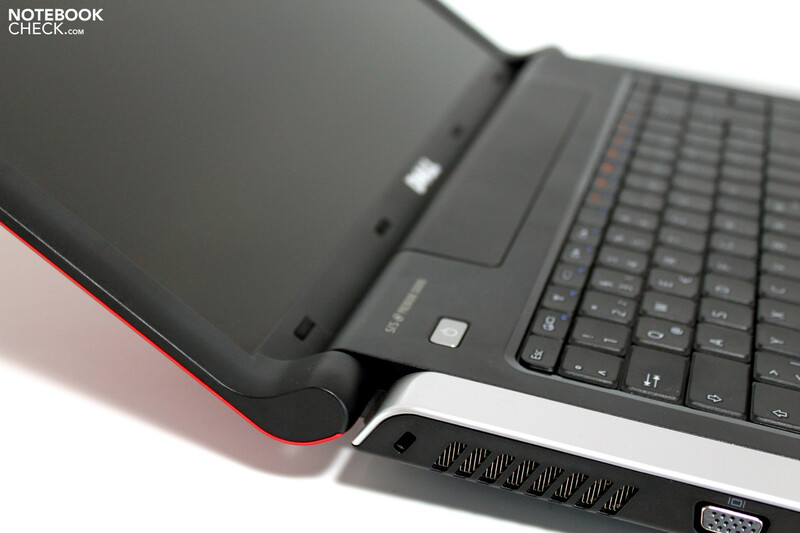 When it comes to the layout of the keyboard on the Inspiron 15z, we find the same layout as that of the Studio 1557. Navigation around the keys is intuitive and the number of errors while typing was kept to a minimum. We liked the use of the F-keys as the primary means to control various functions (brightness, volume, WLAN, etc.). This however can be changed back to normal setting, though the indicated functions that have been imprinted on the keys will remain. 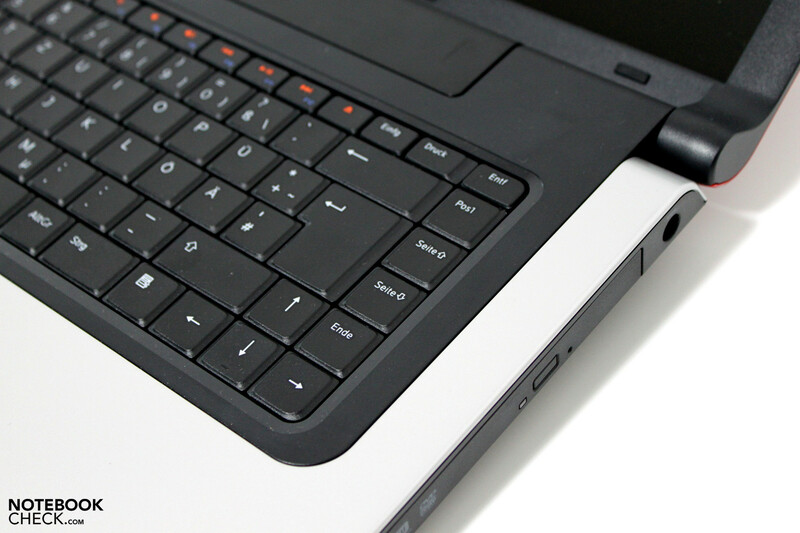 Using the device is enjoyable with the exception of the enter key, which sits very rigidly in the case. Aside from this the individual keys have a short rebound and a clear pressure point. 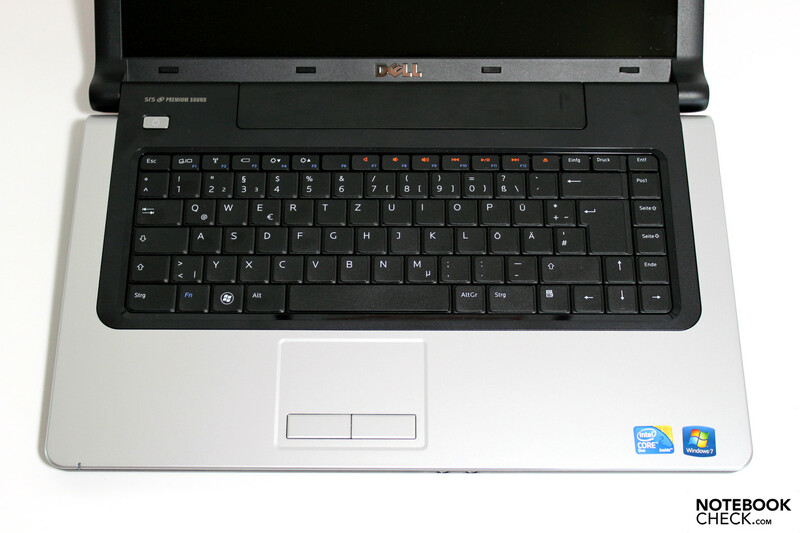 Optically and functionally speaking the touchpad that Dell employs here is the same unit as in the Studio 1557. The sensitive surface of the pad lies somewhat sunk in relative to the surrounding area, though it is made of the same material as the palm rest. The lightly textured structure makes it consistently comfortable to use. 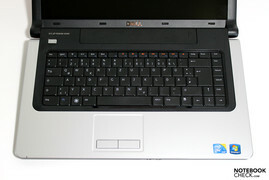 The two buttons have the Dell-typical response with a clear action without any mentionable noises in operation or sensory feedback. It is a little discomforting that these buttons can be pressed deep into the case, though users will want to navigate with two hands as using the thumb to press these buttons requires an uncomfortable positioning of the hands relative to the front edge of the device. 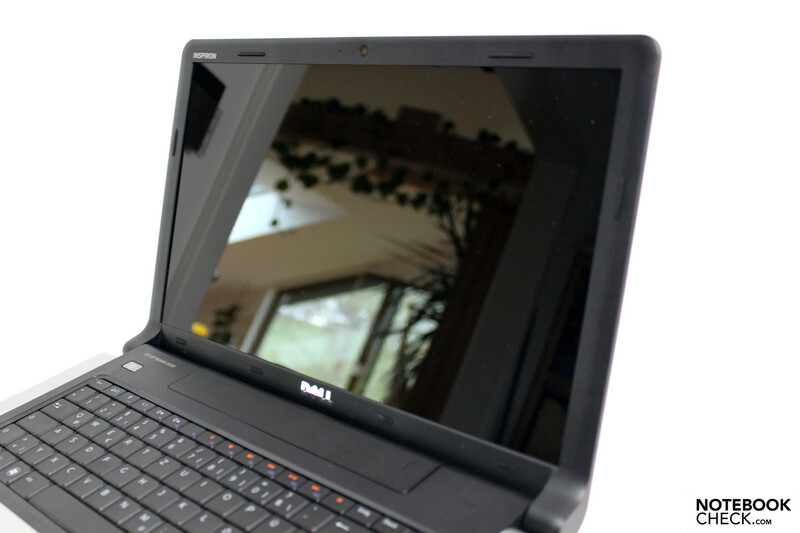 Although the Inspiron 15z is available in a wide variety of configurations, only one single model is available for the display. The 15.6-inch display offers diagonal dimensions of 40 centimeters and a resolution of 1366 x 768 pixels. For most applications the resolution provides enough detail and virtual work area. The maximum possible display brightness of our panel was measured as 190.4 cd/m². Unfortunately we also found that brightness values fell away near the bottom corners of the display where the illumination measured a below-average value of 80%. Not much better is the maximum picture contrast, which with a black value of 1.15 cd/m² in the center of the display, achieved a 160:1 ratio. This value would be described as average at best. The picture also had a difficult time convincing us: the colors (as preset) were rather cool and after a color calibration of the display with Spyder 3 Elite Tools an unattractive red-cast was present. It is only to be expected that a reflective display with average brightness serves as a roadblock for possible use of the device outdoors. Wherever one finds themselves outside, they have to be sure that the area is well-shaded and light sources behind the user are cut down so as to minimize the reflectivity of the display. Our conclusion regarding the viewing angle stability of the panel (AUO31EC) was just so-so: as soon as one changes the viewing angle, the picture on display rapidly becomes distorted. 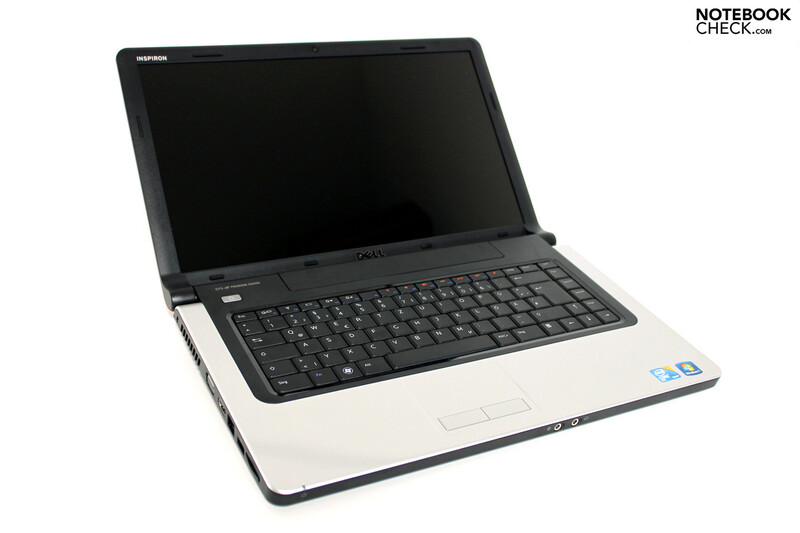 With the combination of an Intel Core 2 Duo SU7300 and the ATI Mobility Radeon HD 4330, we had the so-called "powerful" variant of the Dell Inspiron 15z at hand. For a 40 Euro premium over the SU4100 one should not expect a great advance in performance, as both are clocked at the same 1.3 GHz frequency. 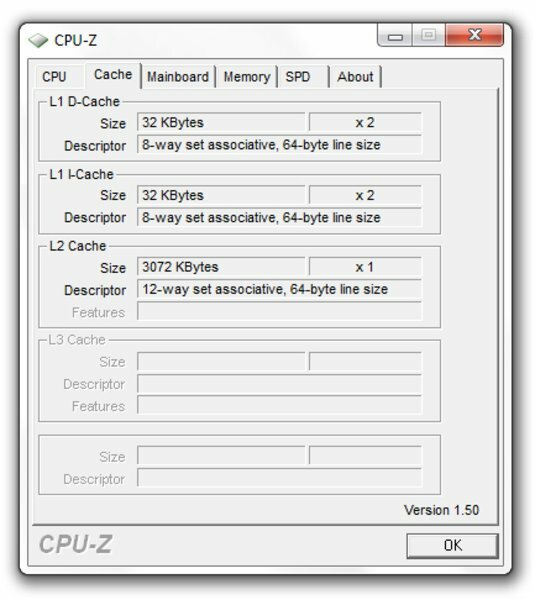 With two cores both benefit from the ability to execute tasks in parallel; this has a subjective increase in application performance during daily operation. 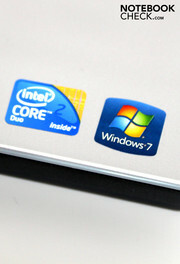 Certain notebooks are stifled by the single-core Atom processor even though it is operating at a higher frequency of 1600 MHz. 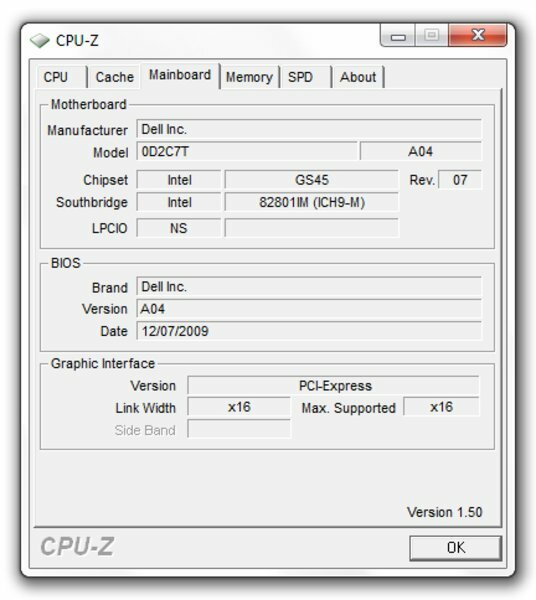 Interestingly, Dell makes their pricing advantageous when it comes to the graphics chipset. 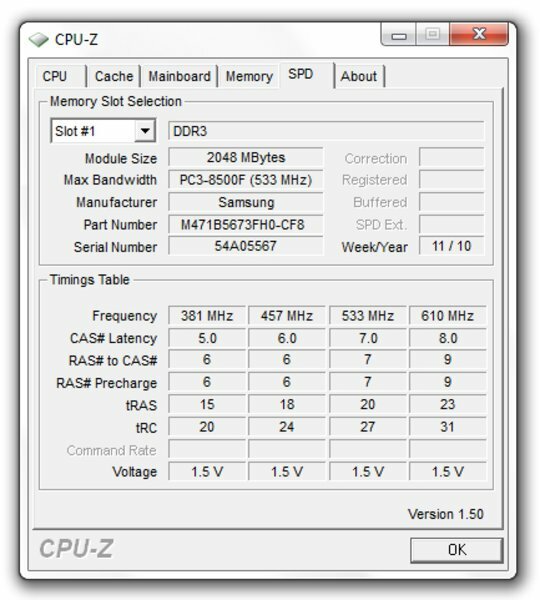 Upon deciding for the more powerful SU7300 CPU, one currently receives the ATI 4330 without any increase in price. This is noteworthy insofar as the performance reserves of the ATI graphics model are up to 4 times as great as the Intel 4500M HD graphics according to the 3D Mark 2006 score. As our test example isn't exactly a performance multimedia machine, we will see if the term "Gaming notebook" fits the bill any better. Gaming, a somewhat more advanced term is still something that the Inspiron 15z can put down on its resume. The GPU decodes HD-video material with ease and games a few years old won't present any problem to the hardware, though current titles can only be experienced by turning down the resolution and detail settings a bit. Looking at the benchmarks a bit more closely, the Inspiron 15z aligns itself with the HP dm3 (Athlon Neo X2 L335/HD4330) quite nicely in 3D Mark 2006 tests. 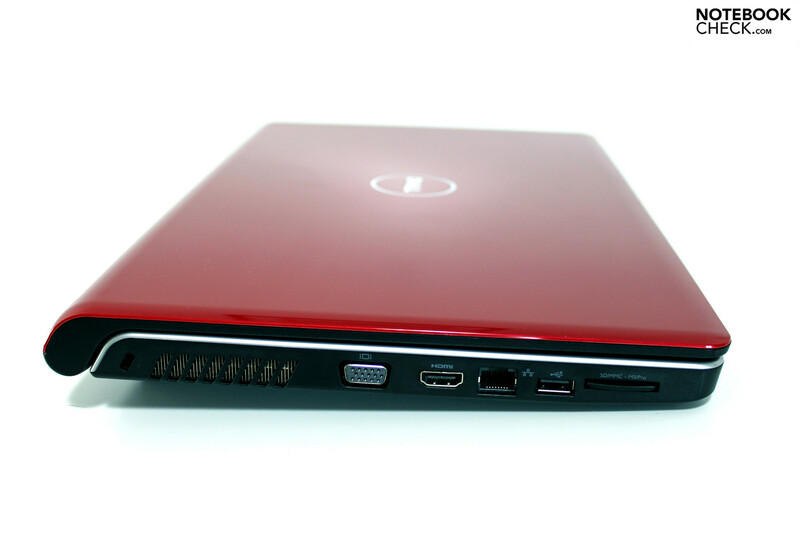 In close vicinity one will also find notebooks with Nvidia G105M graphics (Inspiron 13z, HP dv3, PB TJ65). 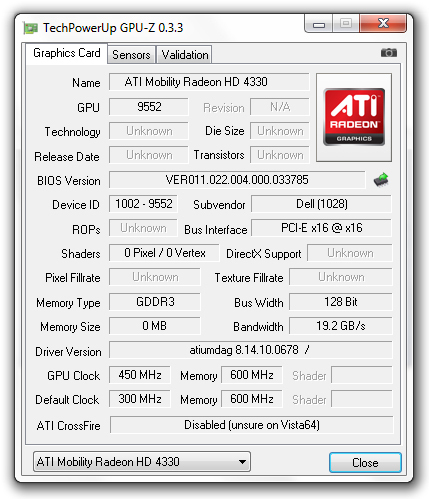 Intel's most current GMA HD graphics solution sits almost 2000 points behind the combination featuring ATI graphics. With a score ranging from 500 up to 1000 points (best-case scenario in the Thinkpad T400s) the GMA 4500M HD lies clearly behind variants with dedicated graphics. 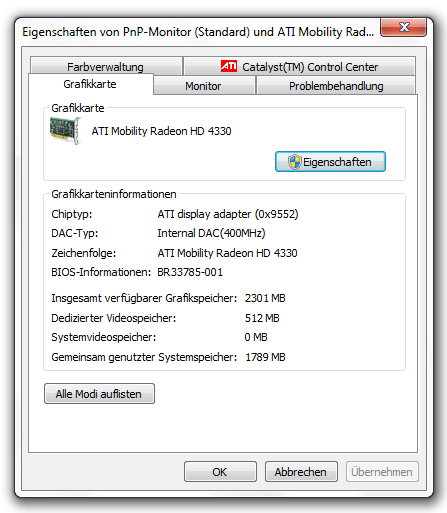 One reason to tick off the ATI graphics option at purchase is that you are planning to do a little computer gaming. Though such a plan will be limited from the start on hardware like this, we still decided to carry out some practical tests. The Sims 3 on medium details (1024x768, med.) was playable on the Inspiron 15z to the tune of 40 FPS on average. Only when increasing the resolution to its native 1366x768 and cranking the detail up to high did the frame rate drop to 27.3 FPS. Anno 1404 was very playable at minimal settings (1024x768, everything low/off) with a return of 60.1 FPS. Increasing the resolution and graphical details (1366x768, high) brings the game to an unplayable standstill of 13.9 FPS. Equally bleak were the results when testing Risen. At low details (800x600, everything low/off) the game was just barely playable at 37.5 FPS. Jacking up the resolution and detail leaves the game unplayable. Surprisingly the racing game CMR:Dirt 2 ran quite well. At 36.7 FPS the current game is more or less playable at low detail (800x600, low presets). The same goes for the racer NFS: Shift, which at 27.5 FPS and minimum detail (800x600, everything low/off) is still playable. Bottom Line: Gamers, particularly ambitious players, won't be particularly happy with the hardware on offer here. Light gamers with a penchant for older classics (Sims, WoW, etc.) should be able to find sufficient performance on tap at lower settings for problem-free playback. Owing to the dual-core architecture of the available processors, the Inspiron 15z brings to the table the most important cornerstone of a capable office-all rounder. 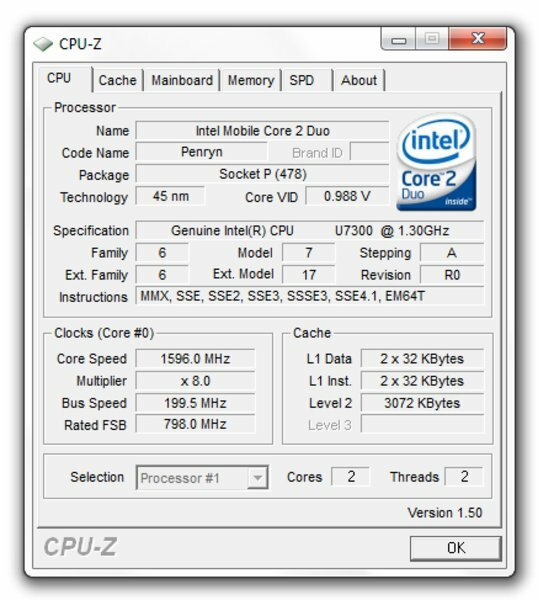 Should one pay any mind to the Windows 7 performance index, it indicates that the processor is the bottleneck in our system configuration. All other components possess a higher rating (game graphics 5.9, hard drive 5.9) than the processor itself. Basic measures for the appraisal of application performance are available in the PCMark Vantage benchmark test. 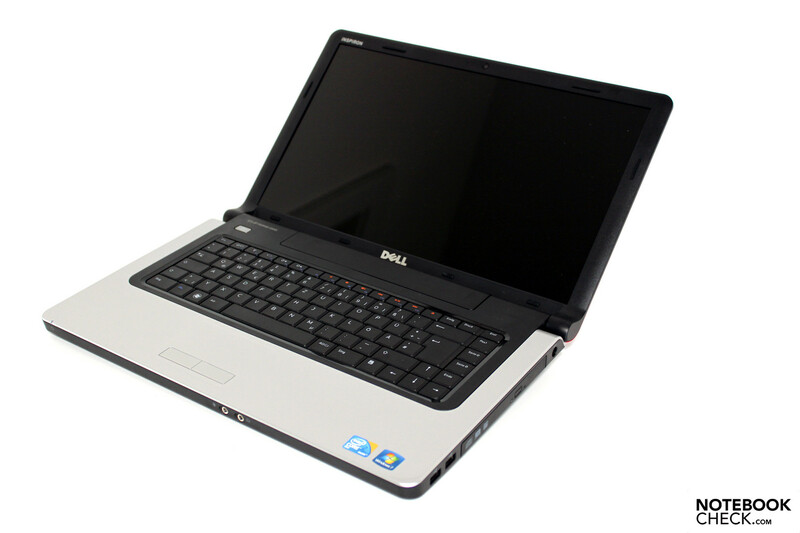 This test confirmed a score of 3149 points for the Dell Inspiron 15z equipped such as ours was. 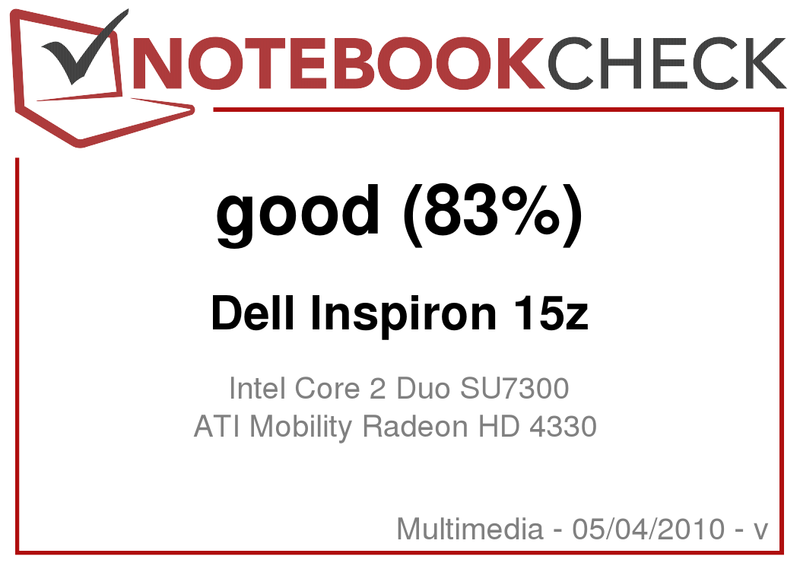 With this score the notebook is at the same level as the Apple Macbook white from 2009 as well as just short of the Asus K50IN. Bottom Line: despite the cutbacks for the sake of mobility, the Inspiron 15z is able to keep up with the performance capabilities of other entry-level multimedia and office notebooks. Daily office and multimedia activities should not present any large problems for the 15z. Lastly we want to take a look at the on-duty hard drive, which in our test system is a large-format model from Seagate, type ST9500420AS with a capacity of 500GB and a speed of 5400 RPM. 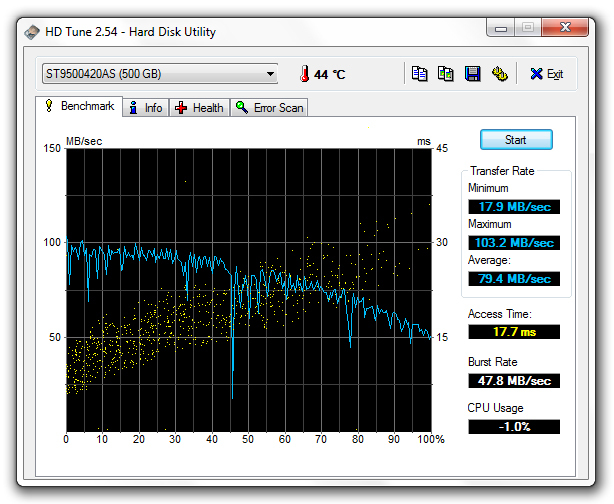 HDTune attested to a good average transfer speed of 80MB/seconds. The access time of 17.7 milliseconds also lies within the average. The 500GB model is not currently available in the web shop, for which 320GB or 350GB models will have to suffice. When ordering over the telephone the entire range of hard drives for the 15z should be theoretically available. Measurements of overall system noise show that the low surface temperatures have more than the energy-saving components to thank. At idle we observed that the cooling fan was in consistent operation with a loudness of 33.6 dB(A), and though the noise remains in the background, it is nonetheless ever-present. 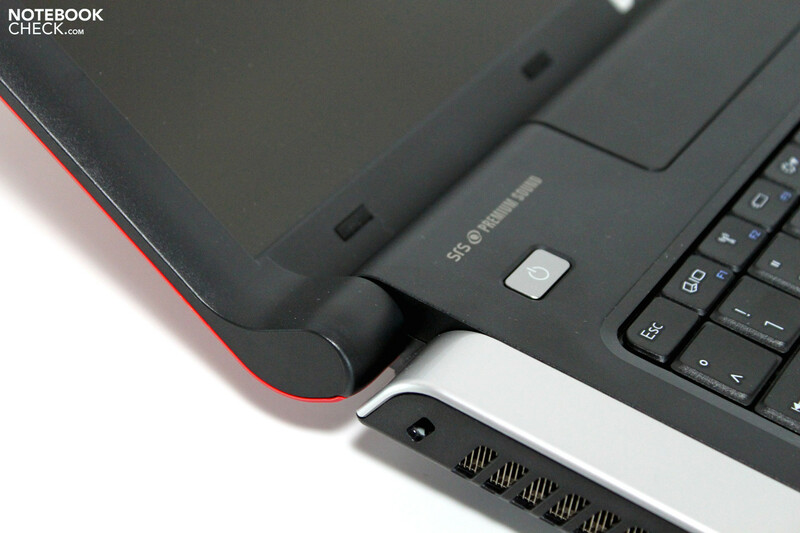 Under stress the Inspiron 15z's cooling system remains at the same level before it turns things up a notch. Under extreme load during a stress test the fan turns up considerably and reaches 42.1 dB(A), its maximum. During everyday use one becomes attuned to the ever-present noise of the fan spinning away in the background. Irrespective of what we were doing with the Inspiron 15z, it always maintained a cool head. During idle operation without any mentionable stress the temperature on the underside of the device in the center measured around 35 degrees Celsius. After around an hour of GPU/CPU stress by way of a Furmark/Prime95 stress test, the device only warmed up minimally. The peak value on the top and bottom sides of the device on the right-side of the keyboard measured an uncritical 38 degrees Celsius. The two mini-loudspeakers on the underside of the front area reproduce sound of an acceptable quality, though the typical bass-weakness common to many notebooks is still a factor here. The maximum volume also wasn't particularly convincing. Problematic with the positioning of the loudspeaker is their positioning on the underside of the base unit, which can be covered up when using the device on soft surfaces such as a couch or on your lap. If this is the case, then it becomes more sensible to use headphones. Testing the maximum battery life under favorable settings (BatteryEater Readers Test, min. display brightness, energy-saving profile, communications module off) our test sample achieved an excellent 661 minutes, which amounts to 11 hours and one minute! It looks very different under a worst-case scenario. In the BatteryEater Classic Test (max. 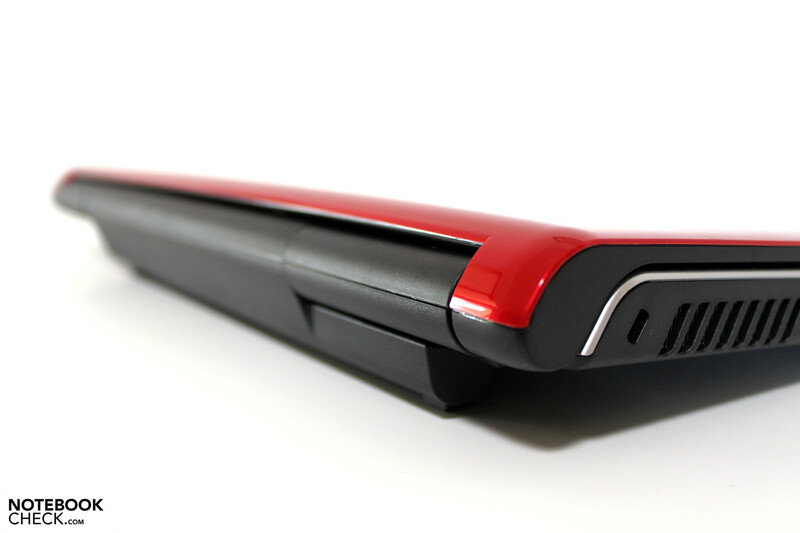 display brightness, WLAN on, high-performance profile) the battery put up 200 minutes before running out of steam. During practical WLAN operation the 15z as outfitted in our test configuration was able to put up 445 minutes, which is a bit more than 7.5 hours. Also impressive was the DVD-playback time of 345 minutes. The lowest observed energy use was 8.8W, which is well into the territory of ultra-mobile devices. 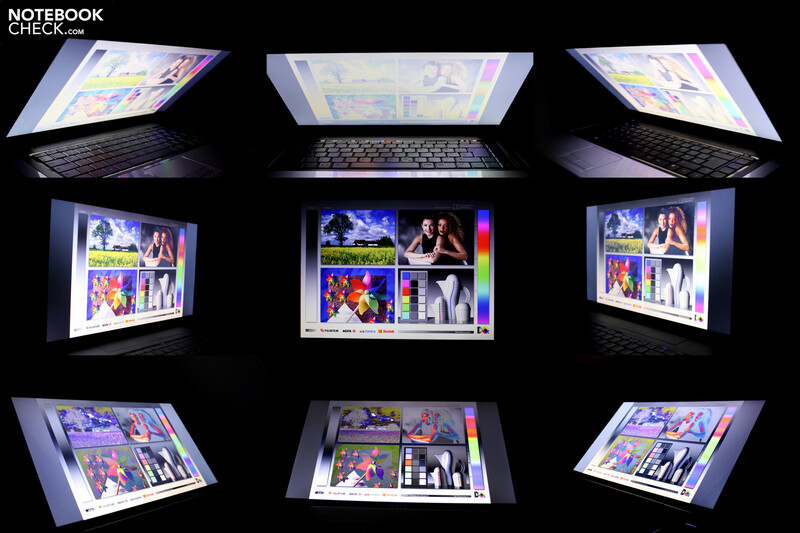 Under stress we measure up to 37W, which can be ascribed to the graphics solution from ATI. With the Intel-GPU variant one could likely reduce the energy consumption, especially under stress. The fundamental idea of lending a large-format office/multimedia a reasonable battery life is something that we can take some pleasure in. Too often greater performance is endowed upon the notebook despite it being unnecessary or not being fully utilized. 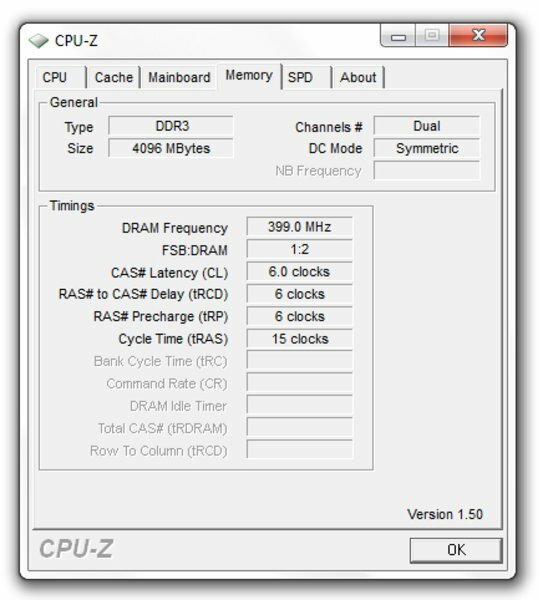 Conventional office tasks are easily performed with an energy-saving CPU: a 2 to 3 GHz machine with up to 4 cores is simply overkill here. Dells Inspiron/Studio base leaves a good impression throughout, even with the unfavorable positioning of the interfaces one can still find mobility under the hood. Most problematic is the display which, because of the moderate brightness and the reflective surface, limits the mobility of the device. Adding to this, the notion that the usability of the display is dependent on the viewing angle is also an area for concern. 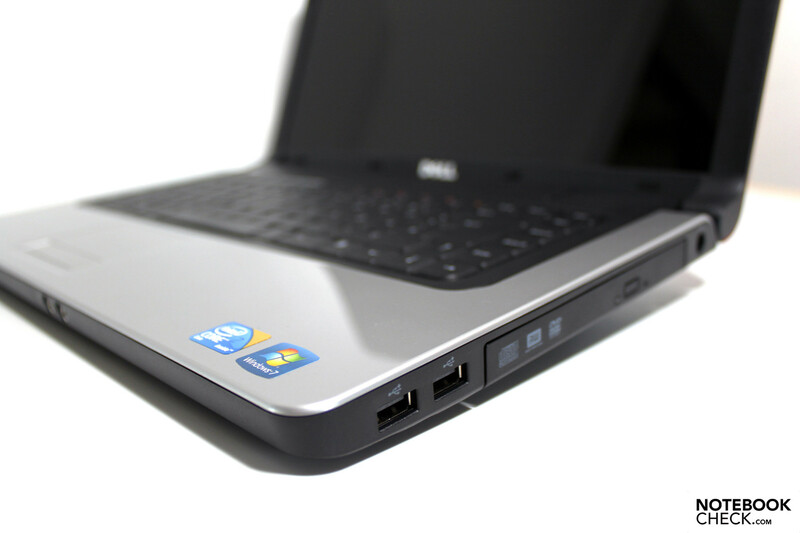 Performance-wise the notebook will satisfy users' needs; graphics-intensive applications can make use of the additional power afforded by a dedicated ATI graphics card, without having too much of an impact on battery life. 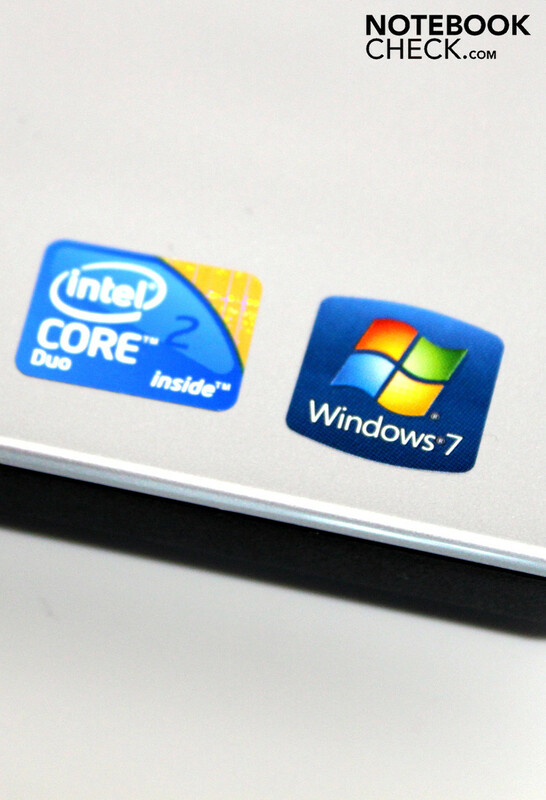 This brings us to our heaviest argument in favor of the Inspiron 15-z. With 7-8 hours of performance-oriented battery life (9-cell battery) the notebook leaves other office and multimedia contenders in the dust. Conceivably, such a device would be at home in an indoor setting where access to an outlet is not always possible or convenient, such as in a university or school setting. With the large 9-cell battery one should be well-equipped for an entire workday of productivity. The return to the essence behind the notebook: independence through battery life. UMTS, at least as an option. A docked USB-modem doesn't work well with the overall positioning of the various interfaces. 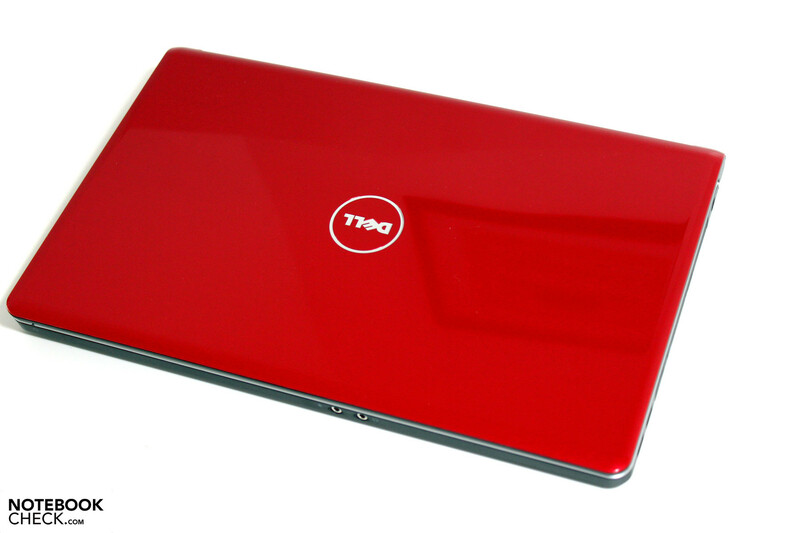 An Inspiron in a Studio outfit – unlucky coincidence or was this confusion intentional?